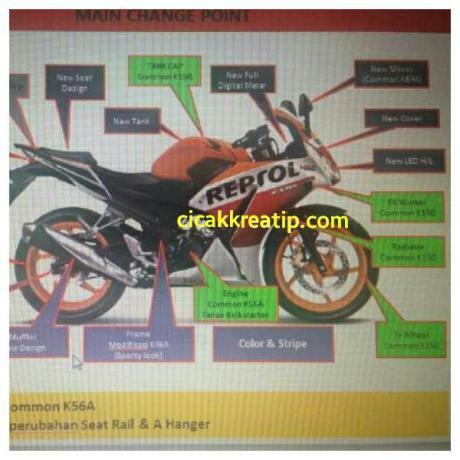 2016 Honda CBR150R facelift has been leaked in Indonesia through what appears to be a set of presentation slides. 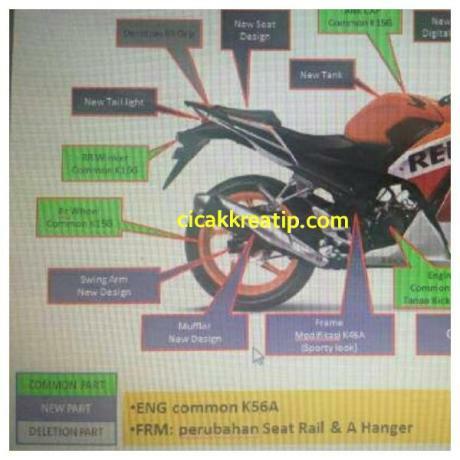 As per the information provided by the leaked document, the updated fully faired compact sportsbike will pack quite a few changes. The most significant update comes in the form of twin LED headlamps, revised front fairing, fully digital instrument console, revised fuel tank, new pillion seat and tailpiece, redesigned muffler and swing arm, etc. The motorcycle will also receive new dual-tone color themes. The 2016 CBR150R is expected to continue without any mechanical change. The 149.4 cc single-cylinder liquid-cooled fuel-injected which is mated to a 6-speed transmission pumps out 17.1 PS and 13 Nm of torque. With all the updates, the CBR150R facelift clearly moves up the market in terms of positioning, so expect it to be priced higher than the current offering. 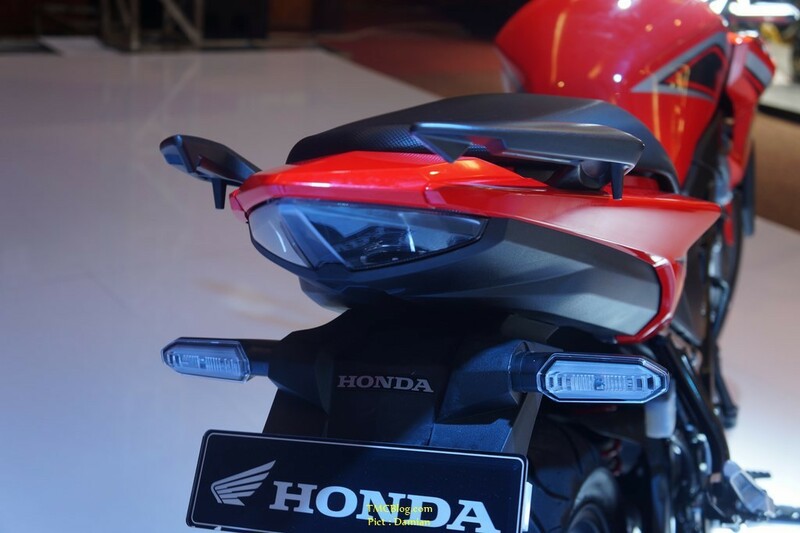 The updated motorcycle would go on sale in Indonesia later this year. We expect it to be launched in India a few months later. The 2016 Honda CBR150R will be hoping to launch a stronger onslaught against the Yamaha R15 V2.0.